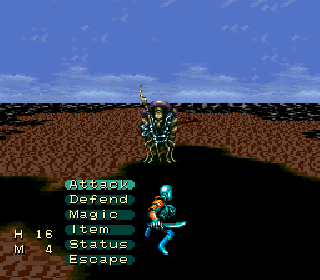 OverviewSeven heroes on a quest to collect seven runes to save the world. Sound familiar? Just wait until you realize that none of the other heroes want to share the fame with you. 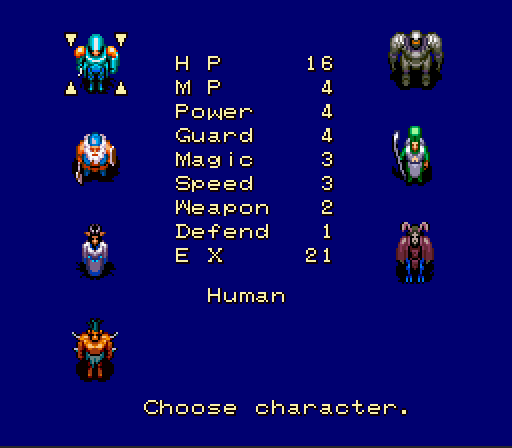 You can choose one of seven different characters, which all have their strengths and weaknesses in combat. When you go to the towns throughout the game you will come across the other six you didn't choose. You can request their aid in collecting the runes you have been quested to find or choose to fight them for a rune. When outside of town you will see a crystal ball showing a radar of enemies on over world map and in dungeons. 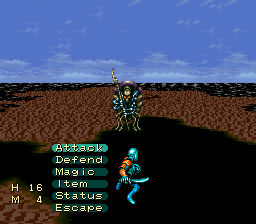 This seems cool in theory to avoid monsters when too weak to battle, but they move so randomly you'll likely run into them anyway. So, before going too far from town safety, it would be best to build up a bit and make sure items and gear are best possible and stocked up. 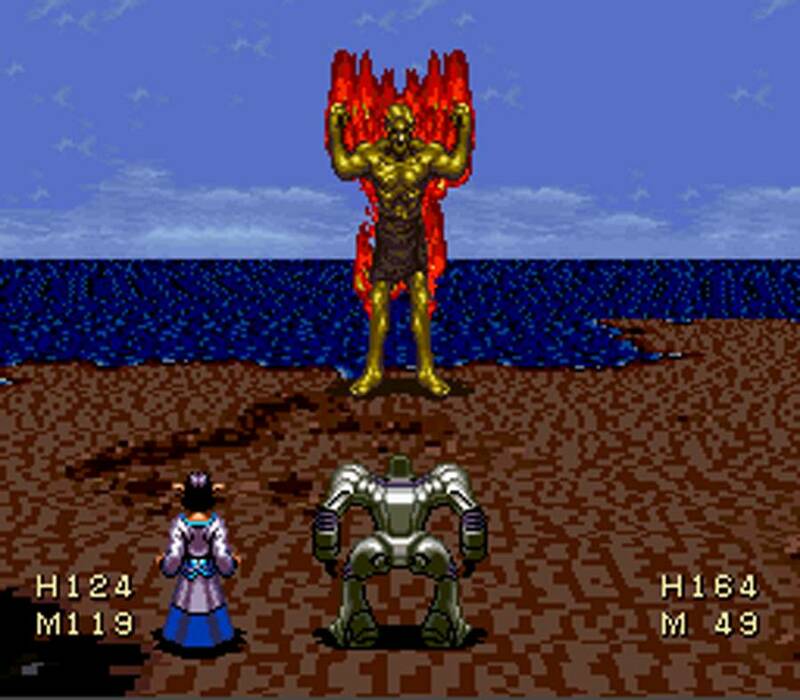 Battle like most in this era of gaming is turn based and you gain experience and money or sometimes items such as runes if battling another main character. This is where frustration can come into play with this title, if you lose a battle to monsters you are returned to the nearest/last place of safety with half your money gone. If you lost to a main character, any runes you've collected are stolen and half your coin is gone. Don't feel bad if you lose (a lot), because of poor stat programming determining strength of enemy/main characters, your stats will always be below them. However with this hack the fan tried to balance the algorithm between player and NPC stat increases to make the game a bit more bearable. Now you can add videos, screenshots, or other images (cover scans, disc scans, etc.) 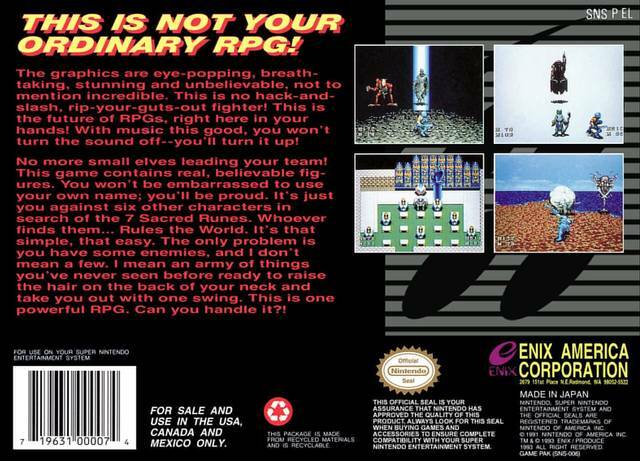 for 7th Saga, The (USA) [Hack by James Skarzinskas v1.0] (Elnard's Balance Restauration) to Emuparadise. Do it now! If you haven't noticed yet, we have a retro game of the day feature (top-right of the screen) wherein we feature a new retro title every single day! Now, you can vote for your favorite games and allow them to have their moment of glory. 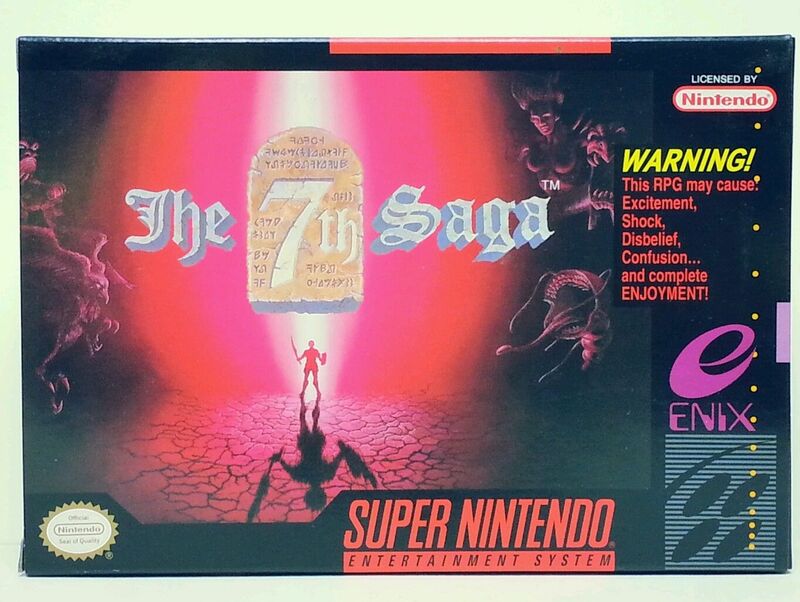 Click on the button below to nominate 7th Saga, The (USA) [Hack by James Skarzinskas v1.0] (Elnard's Balance Restauration) for Retro Game of the Day.